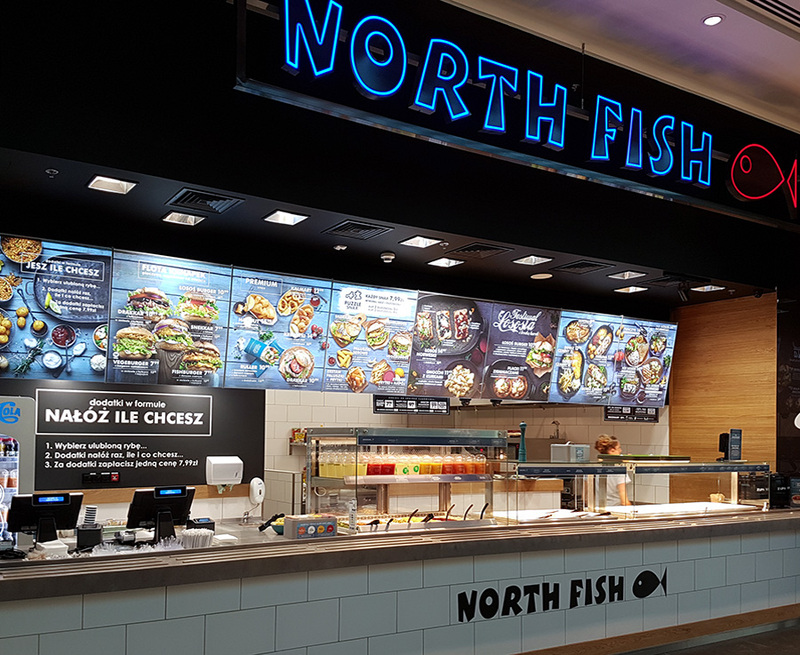 Wystartowała Wroclavia, a wraz z nią nowa restauracja North Fish | North Food Polska S.A.
18 October was an opening day for a new North Fish restaurant in Wroclavia Shopping Centre. This is now the 4th restaurant in Wrocław and the 39th in Poland. New North Fish restaurant offers a wide selection of fish and seafood prepared from scratch everyday. In the menu, our Customers will also find delicious sandwiches, soups, fresh and natural smoothies, and other products the restaurant is already known for. The restaurant is located in the Grand Kitchen area on level 2.